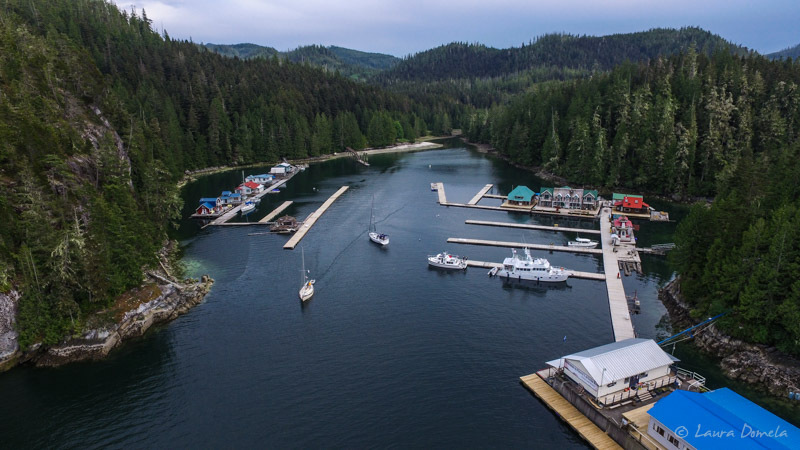 We slept in at Port Harvey this morning…had some coffee, pulled the crab traps (two too small Red Rock crabs) and chatted with George a bit more before leaving the dock and heading toward Echo Bay to see Pierre. 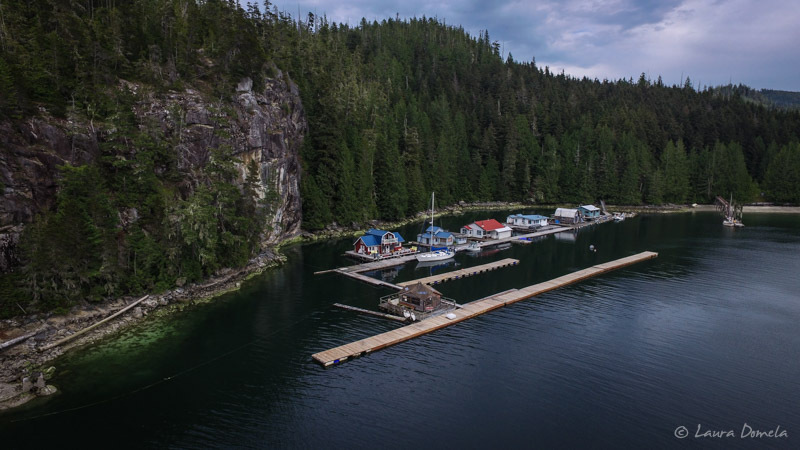 It's still early in the season, so it's fairly quiet here at Echo Bay…four boats or so. We chatted with Pierre for a bit before he had to go rearrange the neighborhood. He'd previously moved a new house into the floating community across from the resort, so he had to untie the whole thing from the rock. 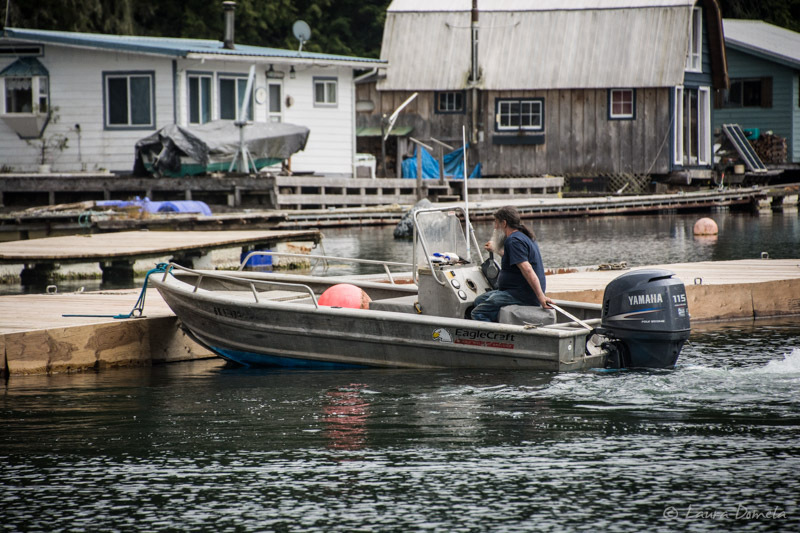 When we came in, the neighborhood was encroaching on the resort…so he headed over there with his boat (and a powerful outboard) to push it back (with his boat!) where it belonged, and then re-attach it to the chain/line to the shore. Pierre is so badass. I think Kevin's dad (had he lived in a remote spot like the Broughtons or in SE Alaska) would have been like Pierre. How cool would it be to just rearrange your neighborhood on a moment's notice huh? Guy next door painted his house an ugly color? 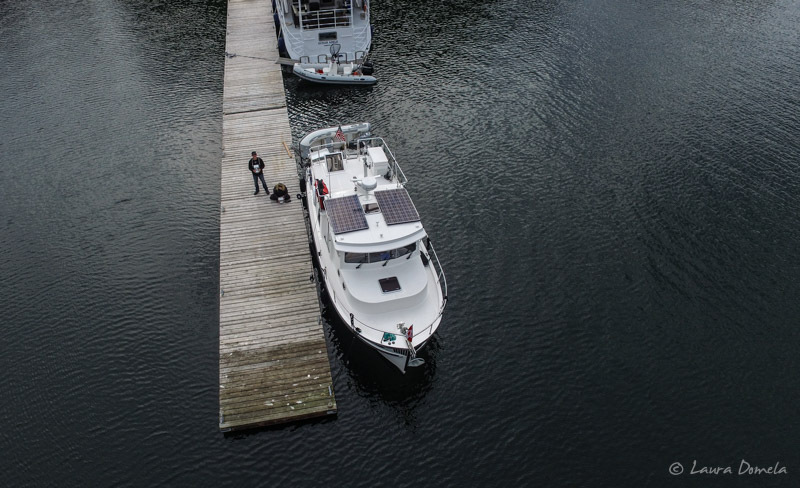 Move him down to the end of the dock. Simple! Kevin took the drone up and I shot some photos (tripod in the sky!!). Here we are! Love this place! We'll stop back by on our way south in September. 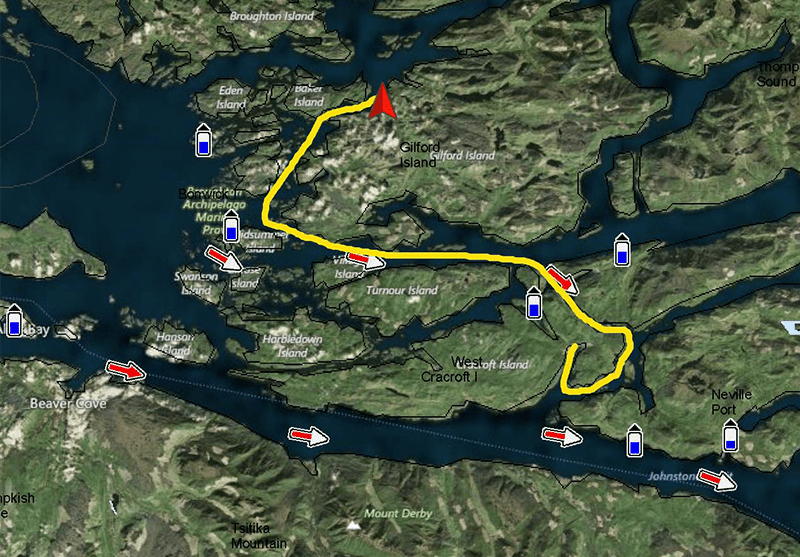 Tomorrow we'll head across early to Port McNeil to reprovision and wait for a good time to cross Cape Caution. Today would have been perfect! Waves .6 meters at 14 seconds. That's about a foot and a half waves with 14 seconds between them. SO. CHILL. Hope it lasts!